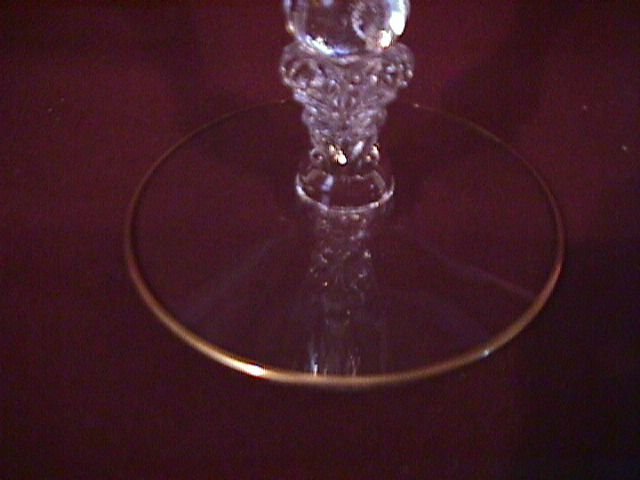 Cambridge Crystal "Rosepoint" Gold Trim Goblets #3121. These Goblets are 8 3/8" Tall and Hold 10 Oz. They are Very Hard To Find with the Gold Trim. This is one of Cambridge's most popular patterns. 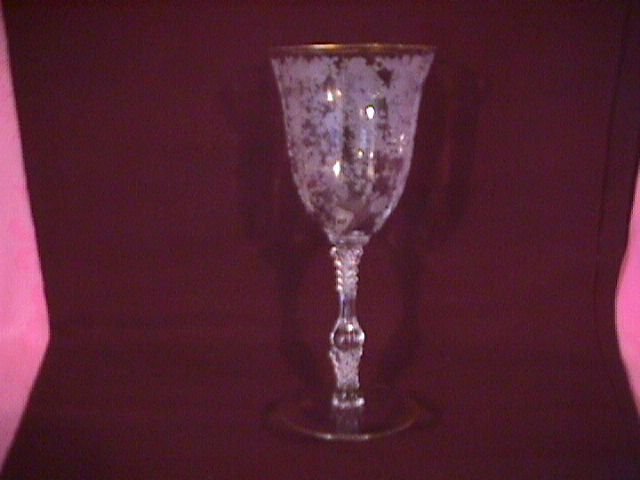 The Replacement value of these "Rosepoint" Goblets is $90.00. 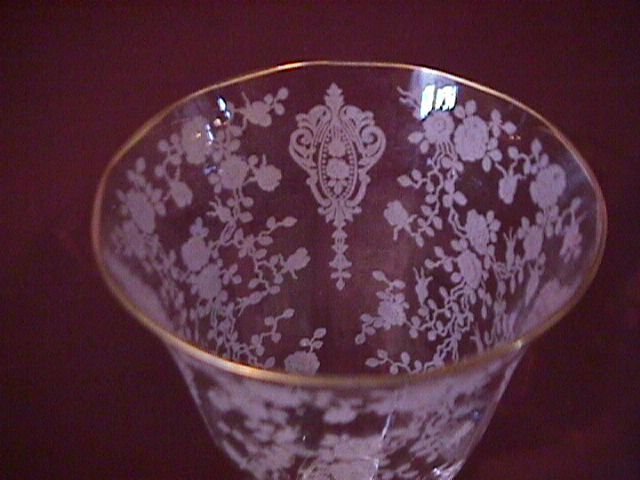 Items Similar To "Cambridge Crystal "Rosepoint" Gold Trim Goblets"